If you bought an iPad Mini, you might have noticed that it came with the same 5-watt charger that Apple ships with the iPhone. 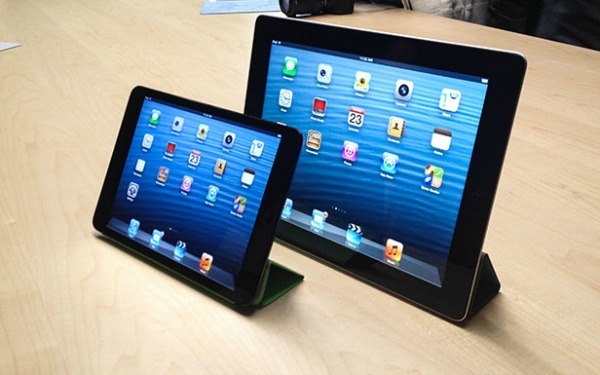 The iPad 3, 2 and 1 comes with a 10-watt charger, while the iPad 4 has a 12-watt charger. Using the 5-watt charger that came with the iPad Mini, we’ve found that it takes around 3-3.5 hours to charge from 0-100%. So, what happens when you use the higher wattage charger? Well, it charges faster! By using the 10-watt iPad 3 charger, we were able to charge the iPad Mini from 0-100% in about 2.5 hours, a difference of around 25%. Note that it’s not a best practice to regularly juice up your tablet using a charger with a higher wattage than the device’s original.